The function module HOLIDAY_CHECK_AND_GET_INFO returned an error"
If you receive the above error when revaluating absences after changing or recreating and reassigning a holiday calendar, this may be due to the calendar buffer not being updated. To do this, switch to TX SCAL. 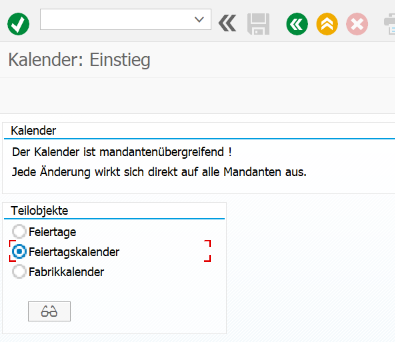 Select the relevant holiday calendar and click on "Update calendar buffer" in the "Extras" menu.